Autumn has arrived at Towerwater, with cooler evenings and damp mornings. Holy Week was a time for reflection and renewal in the garden. We took some leave over the Easter period to get ahead with home and gardening tasks. The preparations ensured that we could relax over the Easter weekend with friends visiting from Paris, Cape Town and Klaasvoogds. Easter is a time for spicing up our meals with hot cross buns, pickled fish and Simnel cake. The aromas of cinnamon, nutmeg and ginger, reflected the changing colours of the leaves in the garden that speckled the trees with yellows, oranges and browns. Sharing Easter with special friends at Towerwater is such a privilege. 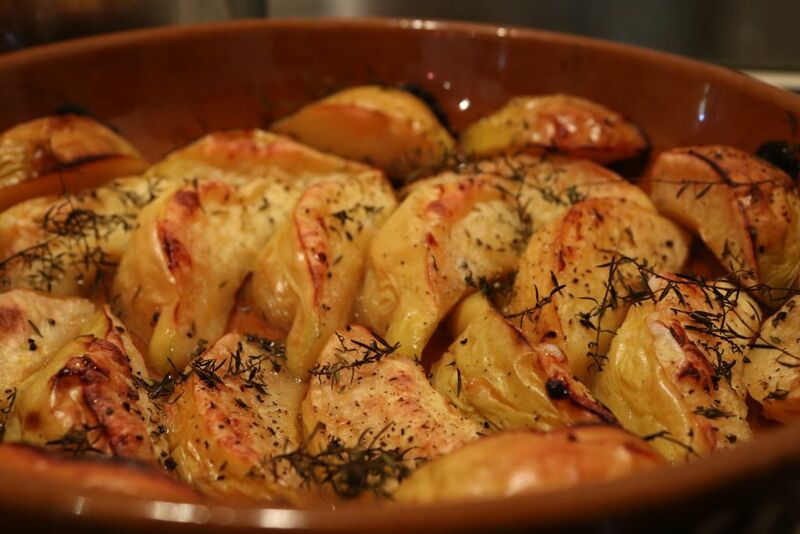 Conversations around the dining room table can flow dreamlike from breakfast to lunch. Time and distance do not impact on special friendships. It was as though we were visiting in Paris the week before. The most important day over the Easter weekend is Easter Sunday. 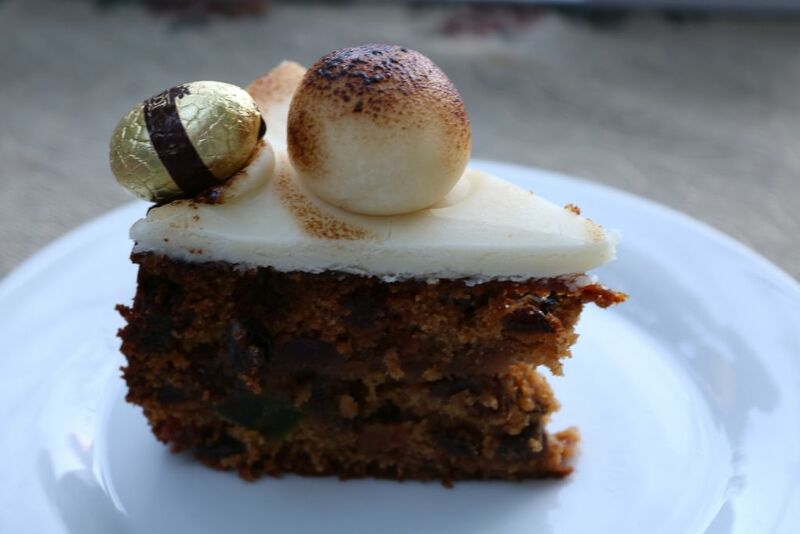 The main features of which are Easter egg hunts for the children and leisurely lunches for adults. 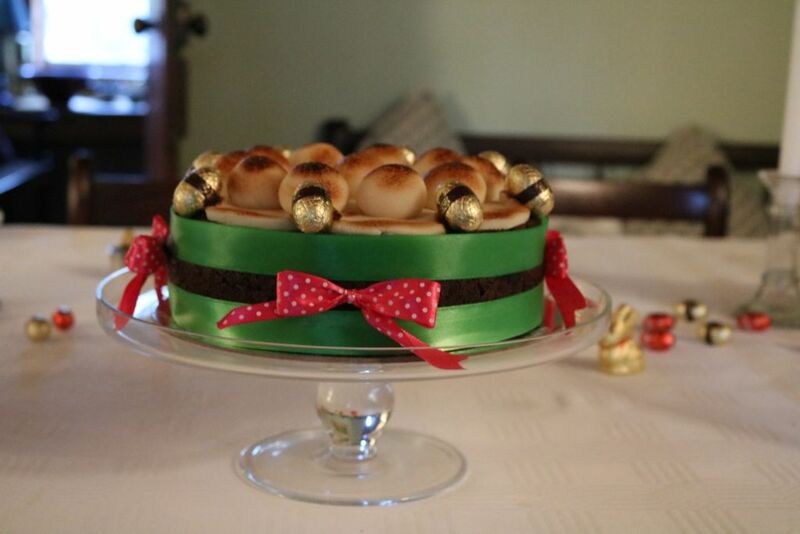 I decided on the Easter colours of white, red and gold for the table decorations. This was further inspired by the big red pomegranates that hang like giant Easter eggs in the orchard. 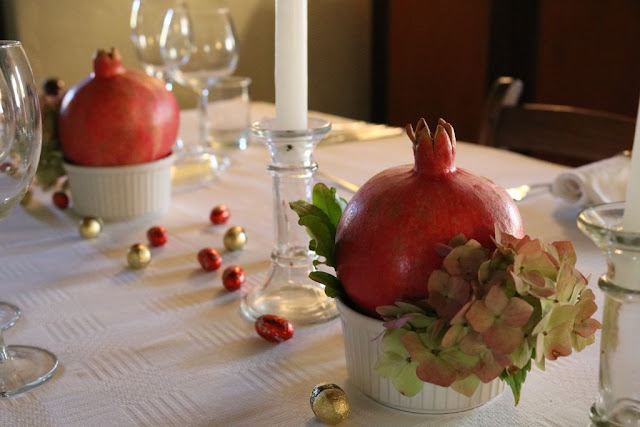 They made beautiful table centre pieces complemented with a touch of autumn coloured hydrangeas. With golden bunnies and gold and red Easter eggs, the backdrop setting was perfect for friendships and conversations. Susan and Michael arrived elegantly dressed and were accompanied by Susan’s breath-taking specimen of a Simnel cake and an array of her freshly baked breads. 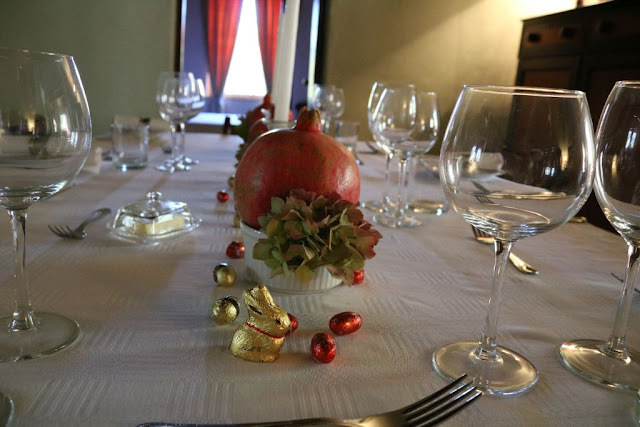 The menu featured a curried Hereboontjie and carrot soup, a leg of lamb roasted over an open fire, roasted quinces, roasted potatoes and butternut with spinach rice. A cheese platter followed with nettle, cumin, coriander, and smoked, cheese. 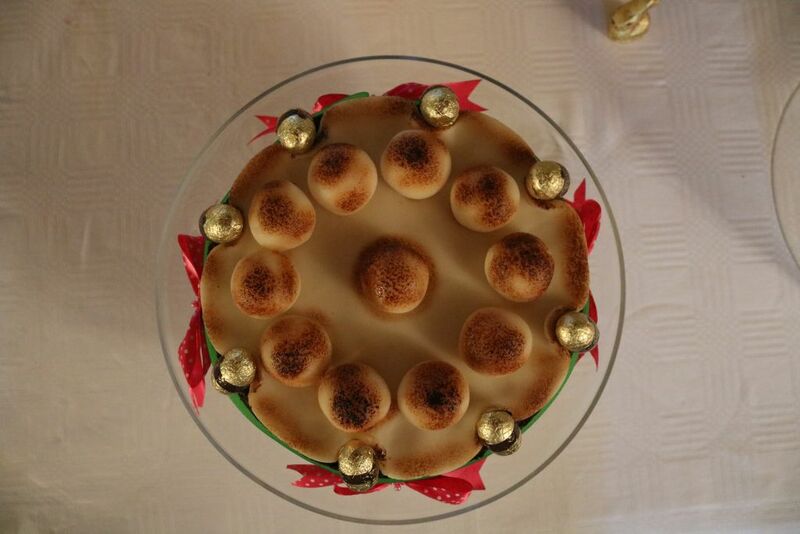 The dessert was the delicious Simnel cake with the lightly roasted eleven apostles resting on the top layer of marzipan. 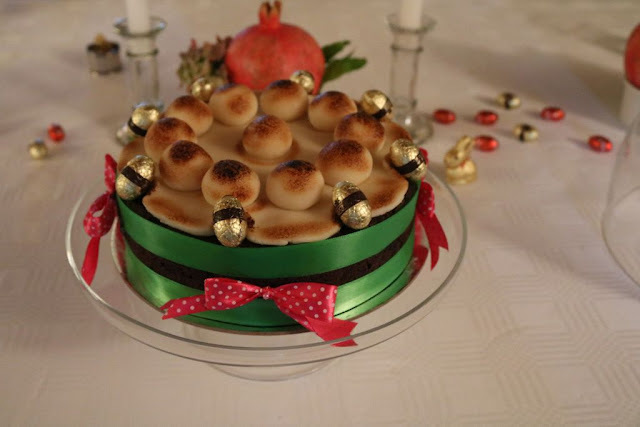 The centre layer of marzipan was baked with the fruit and spice rich cake. Susan outdid herself with the handmade marzipan and beautifully dressed cake. 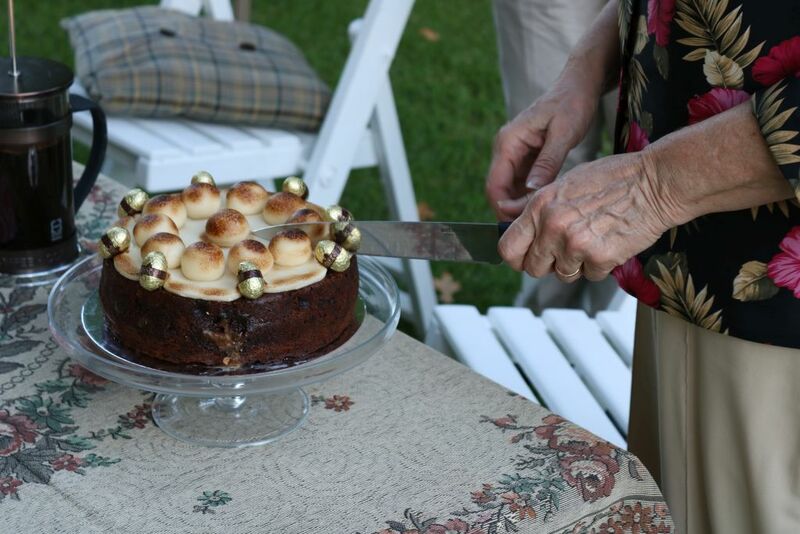 Simnel cake will always remind me of Easter at Towerwater. Enjoyed with the warmth of loved ones and familiar conversations under the autumn coloured oak trees on a leaf scattered lawn. A lovely post, thanks. Time for the quince to be re-discovered. I can't wait to try them in traditional and new culinary forms.